There’s no denying that music has the power to move you – there are some instances that you cannot help yourself from either tapping your foot, bobbing your head, or swaying a little to the beat. 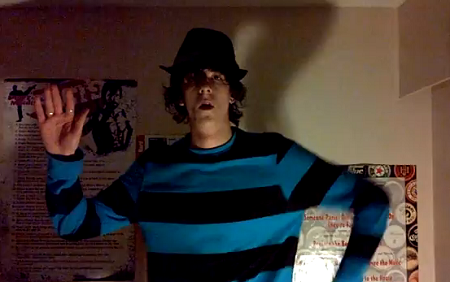 Enter WalkingBearFilms’ video of himself letting “He’s A Metal Giant” take over his soul and just moving to it. Bonus points for the noir-esque lighting scheme. Cha! Which Strange Music song gets you moving the most?